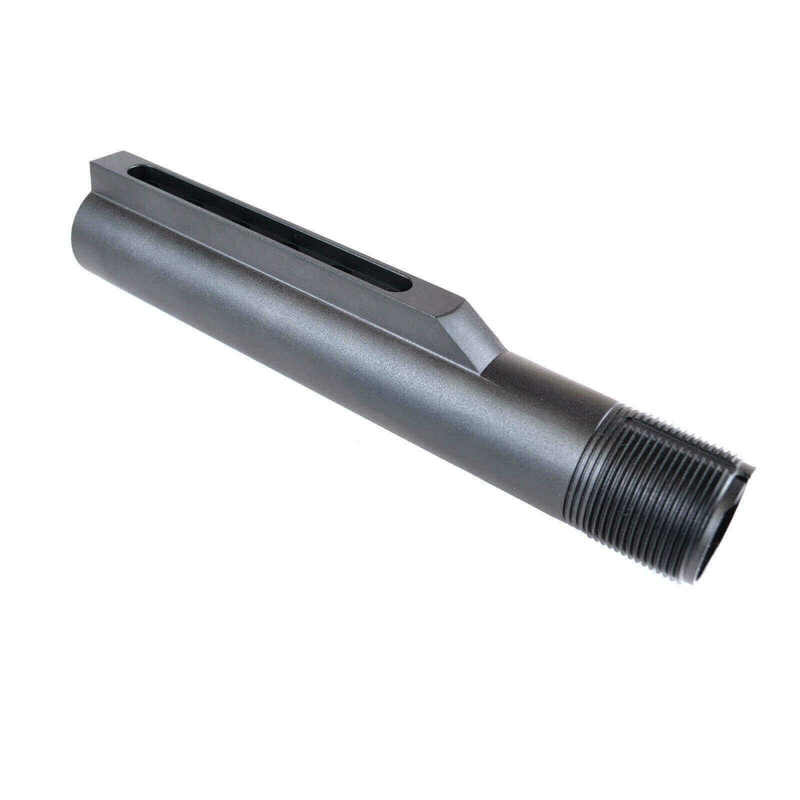 This 6-Position AR-15 Mil-Spec buffer tube is perfect for your next AR-15 build, or as an upgrade on existing commercial-spec tube. Made 6061-T6 aluminum construction with a black anodized finish, with six precision machined notches to securely lock your stock into position. Not perfect because there was a blemish on the threads (deep enough nick to show raw aluminum underneath). Acceptable because it'll be screwed into the lower and not visible. Sorry to hear about the issue, PN. We can always help facilitate an exhcange if you could reach out to us. My son and I bought the furniture kits for our AR's. Good quality, good price and it looks good. Still in the process of building so I have not been able to test it out yet. Great price and fast shipping. We be back for some more needed parts. Thanks for sharing your experience, Chris. We're glad you're satisfied with your purchase. Cheers! I recently purchased a mil-spec Magpul Furniture kit from AT3 Tactical and after I received it I realized that my buffer to was not mil-spec. I then contacted them with my problem and they sent me one out as a reasonable price with free shipping. Excellent customer service and I definitely will be ordering more in the future. Thanks for sharing your feedback, John. We're glad you're satisfied with your purchase.